I've been so busy lately, but in between custom orders, I created a few "extras" that I didn't really plan to make - it's always fun when pieces just seem to almost make themselves! 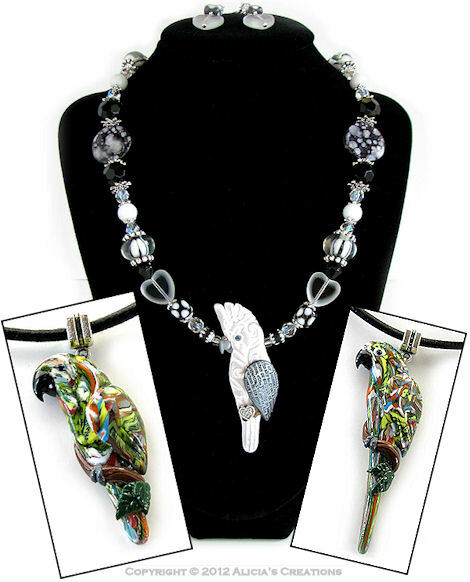 Shown above is an Umbrella Cockatoo in the Flights of Fancy style, beaded in a striking black and white color scheme, with silver accents! 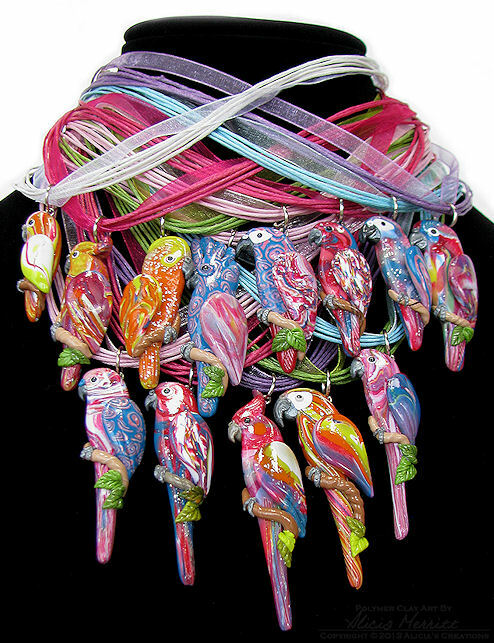 One either side are two "scrap clay" Serendipity birds, in a multitude of colors! All of the pieces shown here are being auctioned on eBay for five days, ending on Monday. 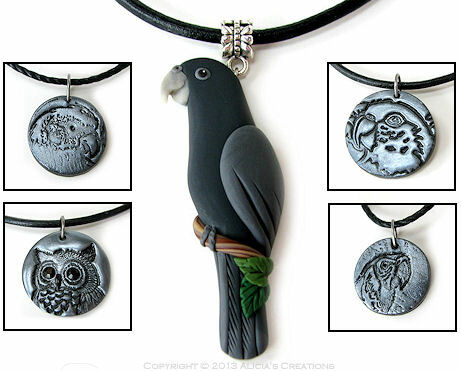 By popular request, I've also created a new batch of "bird poop" jewelry! Seriously. A lot of people have been asking me to offer more, for Christmas gifts - so here you go! 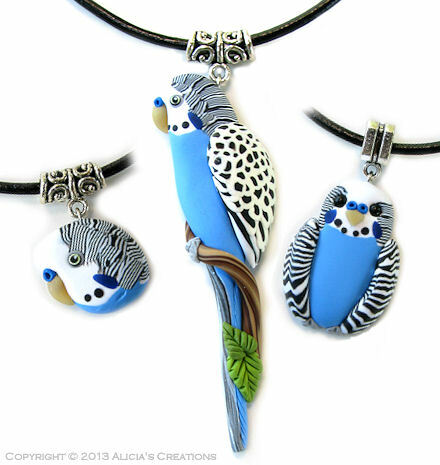 The bird poop listings this week include a small pendant, a medium sized pendant on cord, a magnet, and a bracelet charm, all shown below. 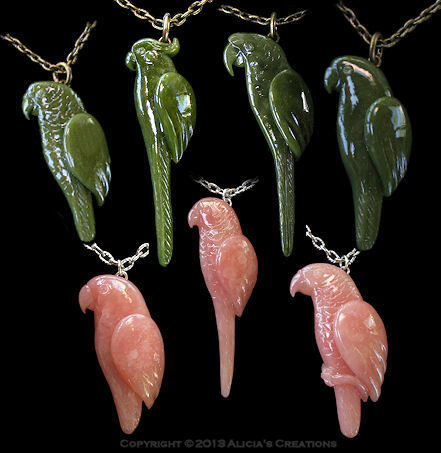 Besides the pieces listed on eBay this week, I do have more, and will put them in my Etsy shop next month, or as soon as time allows!